And... we're back at the grind! Not a bad long weekend of waves though right? Consistent, semi offshore and even the odd break of sunshine; plenty of fun to be had. However, It was a grand weekend for rainbow hunting, every hour a new one! 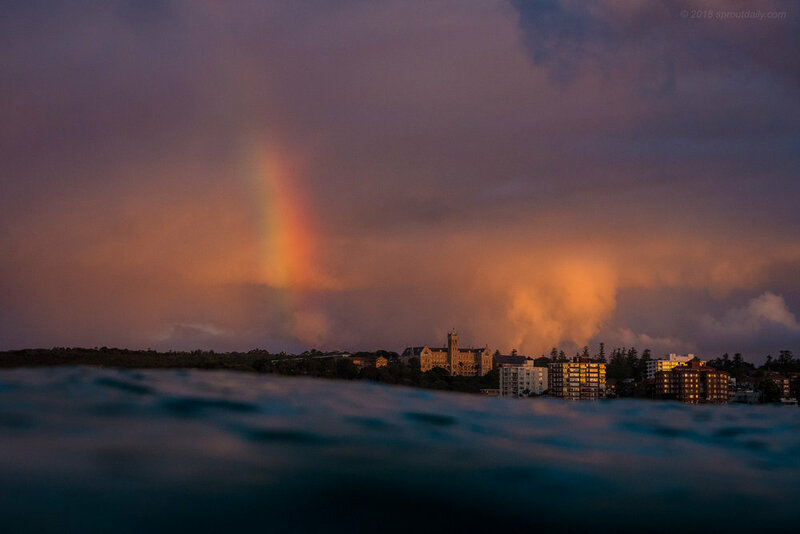 I had a swim right on sunset yesterday when a vivid strip of colour split the clouds and hung out above North Head while the weekend faded into memory. Sunsets & breaking rain = magic light! Looks like a week of fun little waves ahead with a neat run of mostly East swell and offshore winds. Reckon sunshine is too much to ask for to?